Evelyn is at that awkward stage where she really wants to sit up but isn't quite ready to do it by herself. When we lay her on her play mat she wants to be up (we've even had mini sit ups in the attempt to get up lol!). So when we heard about the Sit-Me-Up floor seat from Fisher-Price it looked like just what we were looking for. The seat offers Comfort and fun all in one. The supportive, upright seat which has soft fabric and a wide, sturdy base lets baby see and interact with the world around them. 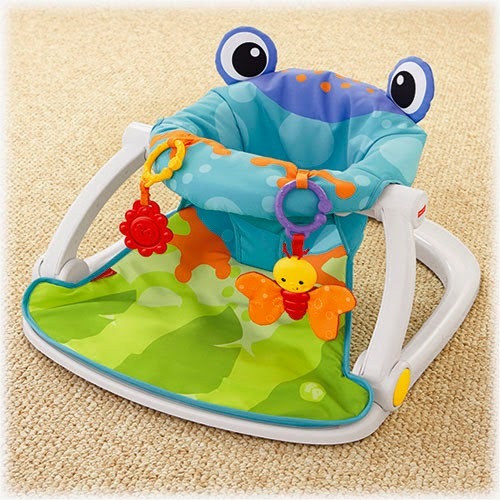 It also features two detachable toys which allow baby to sit up and play.The fabric is completely and easily removable and machine washable. I loved the funky and bright design of the seat and that the toys were detachable so that we could swap and change them with other toys we have so she didn't get bored with the same toys. The toys included were bright, colourful and nice and chunky for little hands to grab. The butterfly had crinkly wings and the other toy make a great teether for her to chew on. The Sit-Me-Up seat also fold flat and is really lightweight so easy to take along with you or fold away for storage. 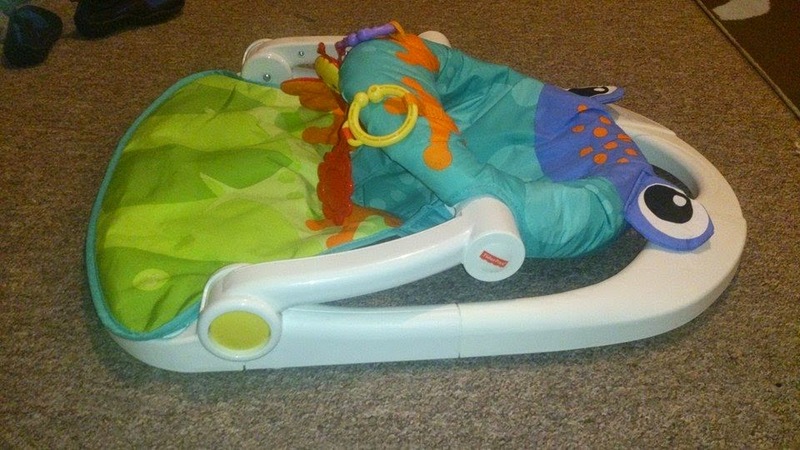 We have been taking it along to my mums and it is so easy to fold down and then pop back up again with just 1 hand its been great. I would highly recommend this seat to anyone! It has been fantastic for Evelyn and has solved her frustration at wanting to sit up. 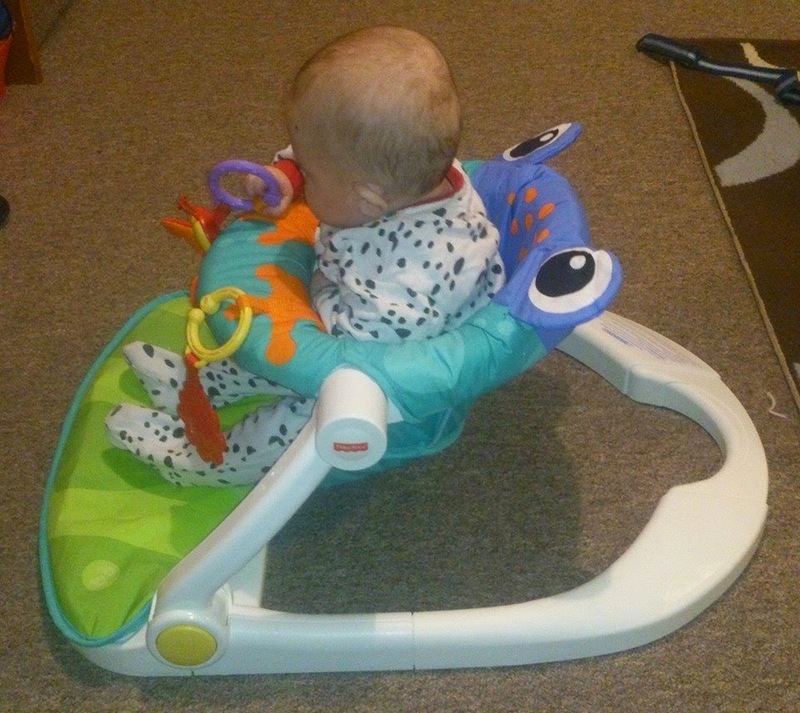 The supportive and comfortable seat has meant she is able to sit up and play with her brother and have a good look around, without one of us having to always be holding her upright. The seat is priced at £39.99 although it is currently available from Smyths for £34.99! (price correct as of 24/10/2014). 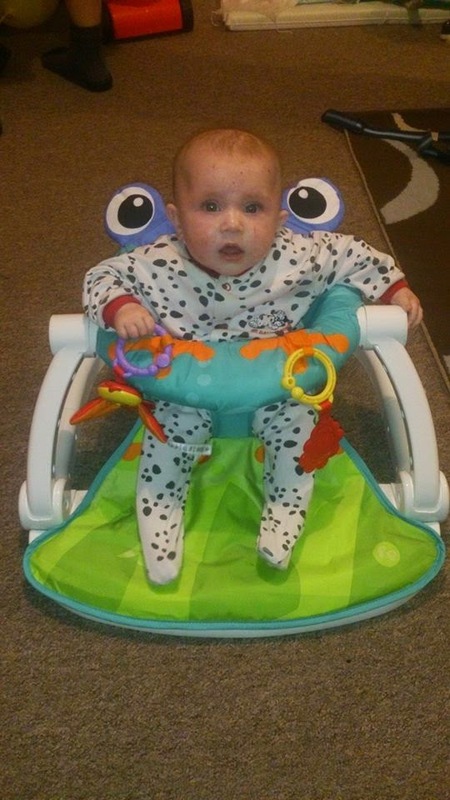 The Fisher-Price Sit-Me-Up floor seat is suitable from when baby can hold their head up unaided up to 11kg. Looks fab, I know mine were always desperate to be able to see what was going on so I can imagine it being really well used! Omg how cute is this!!!! Swear all the baby toys keep getting cuter and cuter everyday!! I wish I had known about this before, my niece is just sitting up. Sounds like such a great idea for a product. oh, that looks so much fun. I absolutely loved all the toys and gizmo's I had whenn my girls were young ... I ended up giving my house up to them for a few years! I like this - looks really good and would have been fab for my daughter who was v late to sit. These look really cute...almost makes me want another.... Almost! This looks great but up to what age is it suitable? What a lovely idea and very useful too. Cute and bright and it looks like there are lots of bits to play with.